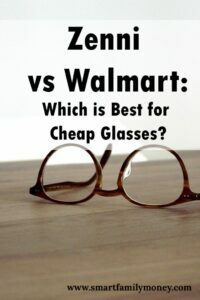 Walmart vs Zenni: Which is Best for Cheap Glasses? 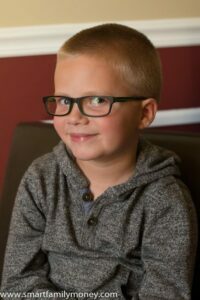 Last month, I wrote about my experience getting my son his first pair of glasses. In that post, I compared Walmart, Costco, and Target for price and value. We ended up purchasing glasses from Walmart Vision Center as well as ordering a backup pair from Zenni Optical. I wanted to follow-up with how our experience went. Here’s my comparison of Walmart Vision Center vs Zenni Optical. Return policy: 60 days for any reason. Breakage guarantee: Repair or replace broken glasses for 1 year. Breakage guarantee: 30 days. After 30 days, replacement frames can be purchased for 50% off. Free replacement nose pads for life. We picked out the glasses on Monday, October 10th at about 4pm. They gave us an expected pick-up date of the following Monday but said it might be quicker. They called to say they were ready for pick-up around 1pm on Wednesday, October 12th. The glasses were ready in less than 48 hours! My son was thrilled. I ordered the glasses online the evening of Monday, October 10th. The glasses were delivered on Thursday, October 20th, so it took about 10 days. I thought this was a very speedy turnaround for an online order, but it was much slower than Walmart. They had a good selection of frames in a variety of styles. There were wild and colorful frames and classic plain frames. 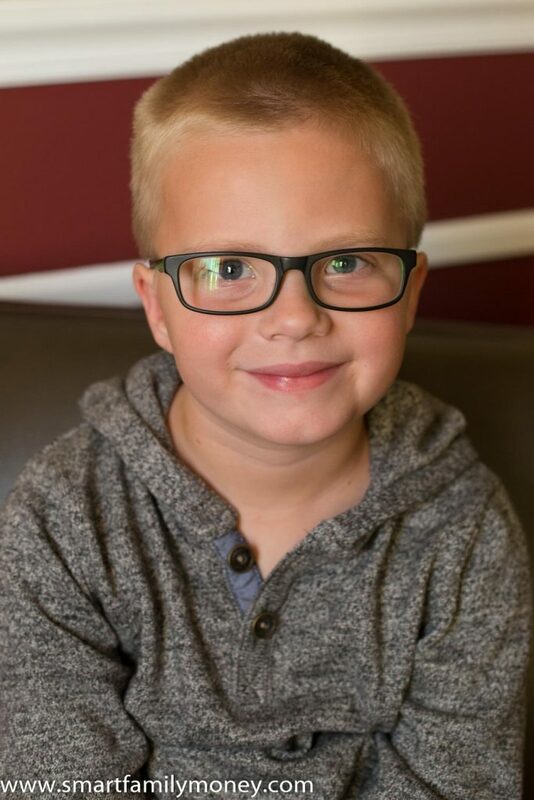 My son adores the look of his Walmart glasses and gets lots of compliments on them. My son in his Walmart glasses. Zenni also offers a good selection of styles. I had a bit of difficulty finding a pair in the right measurements for my son’s face. If they have the style you’re looking for in the right size, I’m sure you could be happy. My son in his Zenni glasses. 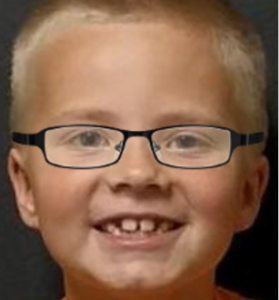 The virtual try-on feature was nice at Zenni and I feel that it was a pretty accurate way to see how he’d look in the frames. I’m very impressed with the quality of the glasses from Walmart. The frames feel very sturdy and have springs on the arms, as you’d expect for children’s glasses. The plastic of the frames does feel a bit “cheaper” than my designer frames (that cost $100s of dollars), but the difference is very minor. The quality of the Zenni glasses is very comparable to the Walmart glasses. They also feel a tad cheaper than high-end frames, but are still very nice. Choosing glasses that are a good fit for my son was pretty simple at Walmart because he was able to try them all on. Getting them adjusted was a quick 2-minute process. The technician checked the fit when we picked them up and bent them slightly to get a tighter fit. The Walmart glasses fit him very well and rarely slide down. Zenni offered online instructions on how to adjust your own glasses. When my son’s Zenni glasses arrived, I could tell that he needed quite a bit of adjustment to make them fit properly. I was afraid I would break them if I tried to adjust them. Since our local Target offers glasses adjustments on any pair (regardless of where they were purchased), we stopped by to get them adjusted. The Target technician adjusted the arms to fit his ears better and tried to adjust the nose pieces, but they’re still not quite right. He is not very happy with how they fit. Winner for us! The Walmart glasses. The quality of the glasses from both places seem to be very similar and I am satisfied with both. The price was about 3.5x higher at Walmart, but could have been less if we had found a cheaper frame that we liked. The process of selection and adjusting the glasses was much easier at Walmart because we were able to do it in person. Overall, my son loves his Walmart glasses and is not very thrilled with his Zenni glasses. 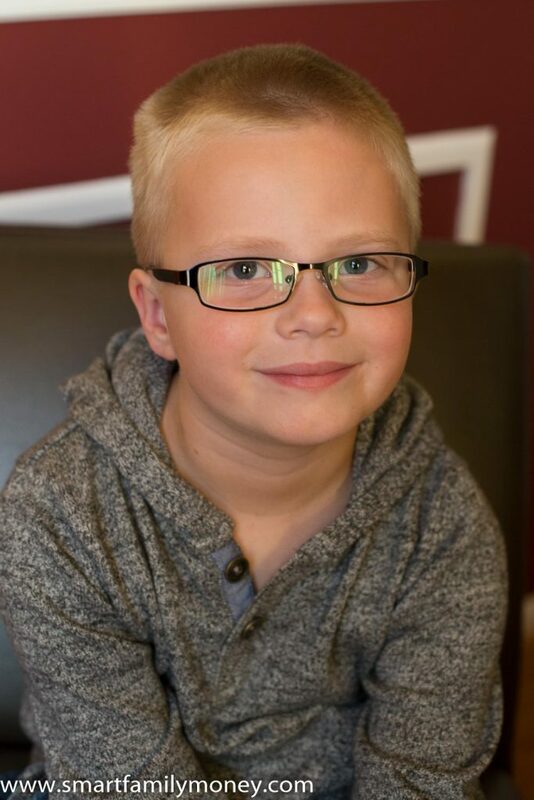 Since he needs to wear his glasses full time, that’s the most important factor to me. Walmart was definitely the winner for us. We are going to keep the Zenni glasses as a back-up, and we may try ordering from them again in the future. 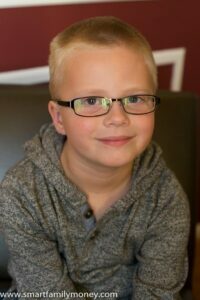 The process might be easier when we have a better idea of what styles of glasses work best for his face. 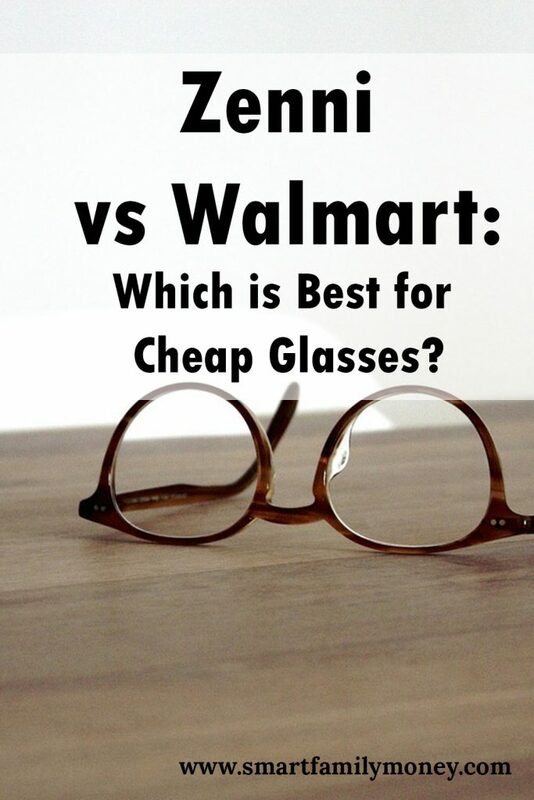 Have you bought prescription glasses from Walmart or Zenni? What was your experience? Please comment below!